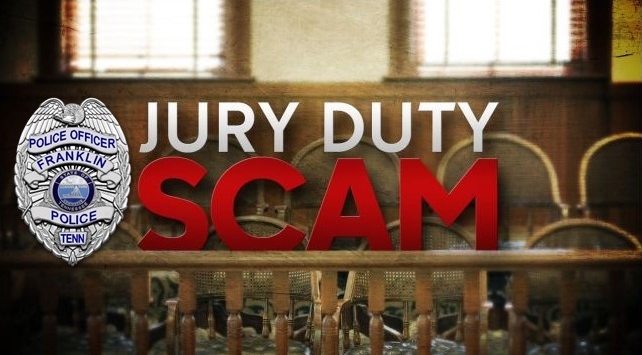 Franklin Police are warning residents of the jury duty phone scam that continues making its way through the area. Here is how the scam works: The offender calls an unsuspecting resident, claiming to be with a local law enforcement agency. They tell the resident that they have not reported for jury duty, and then threatens their arrest unless the resident buys a prepaid card or iTunes gift card, loads it with money, and then arranges for transfer of those funds to the suspect. Children who have aging parents should talk with their loved ones about scams, and warn them to never give anyone numbers or codes to their credit cards, bank cards, or any personal or financial information over the telephone.